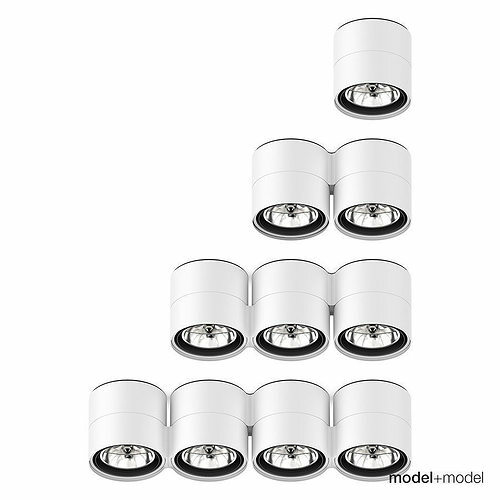 High quality 3d model collection of the Deltalight Link spotlights. Four model types with different numbers of spotlights available. The models have rigged version and easy-to-use standard version with appropriate objects links and pivot points. The spotlights are adjustable so you can experiment to create a customized lighting composition (see previews). They are based on the manufacturer's original dimensions and were created paying much attention to all the details of the real objects.